“Tonight I went with Arijana to feed dogs at Kosevsko (part of Sarajevo), people hate dogs there. Also, ton ight, Dzenana and I went to the hills surrounding Sarajevo and feed probably one hundred dogs. Among others we stumbled upon a few puppies left to die by the road. Someone left cakes for them to eat… They had no water, so we fed them proper dog food and gave them water and deworming pills (their stomachs were bloated.) They live among human feces, literally. Can you help Jelena and the other people who are trying to save the dogs (by feeding and catching them and neutering them or spaying them or bringing them to ‘pensions’ for daily food and care?) It’s simple: they need donations. Go here to find out how. Even just one dollar or one euro will help. 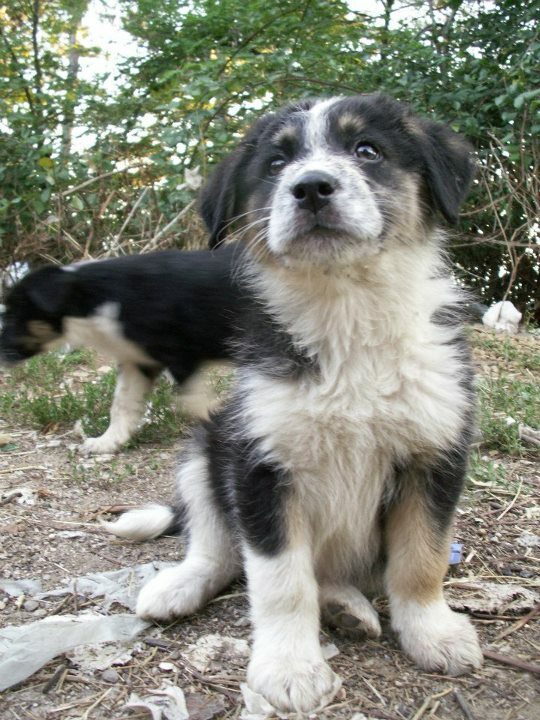 Jelena has also rescued several dogs and is looking for homes for them. Find out more on the Please Adopt Me page. Hello again,I am Morgan Murchison,of course I know Jelena through facebook and I want to help very much.I would like to go to Bosnia to be with Av Mau and meet Jelena to help the poor dogs and animals.I have written to Jelena on facebook but I heard nothing from her.Please could I come,i would like to help. Hello I would like to send anything else aprt from money,maybe blankets or anything that is needed,packets of dry dog food. Morgan, I will email you direct. Thank you!